VICTOR’S NERVE TONIC – RUTLAND VERMONT – Very Scarce & Huge! 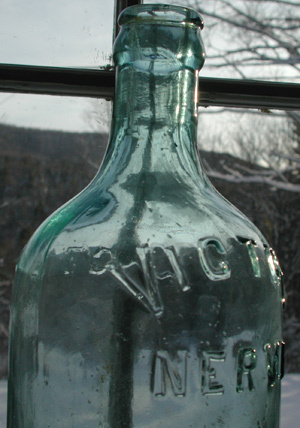 Description: Very Scarce Vermont Nerve Tonic from Rutland, Vermont. Crude, heavy thick glass. American C. 1870. Condition: Excellent, some light surface wear.